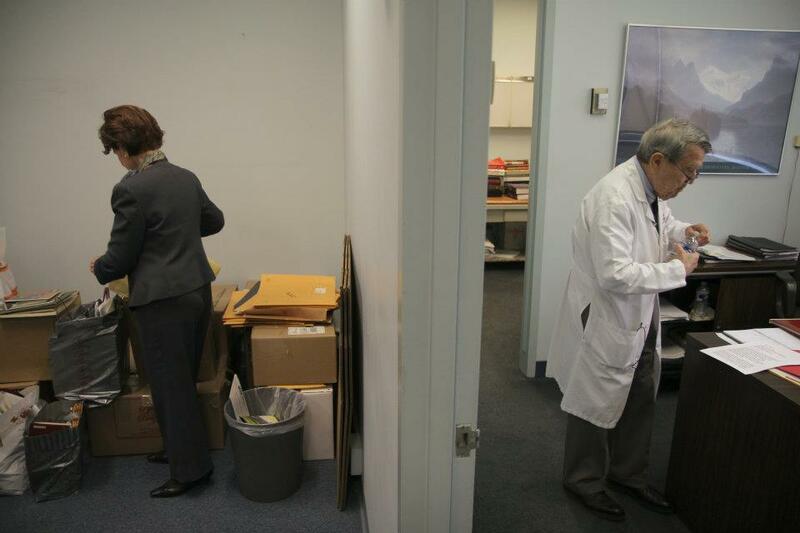 Dr Sarno on one of his last days at work. Every time we make a film we have to believe that it will reach people and have an impact. Each of our last 3 films has taken a decade or more to make. Some of that time was simply hitting a stall, having to work on something else. In the end, that time made the films better than they might have been. All of them have had trouble reaching an audience. “Battle for Brooklyn” only started to get attention when the Occupy movement happened and people had a context to discuss the kind of kleptocracy that it depicted. “Who Took Johnny” never got any attention within the film community, but once we got it on VOD it took off in a powerful way. Now it’s one of the more popular crime docs on Netflix. We are still trying to get our latest film the attention we think it deserves. I was just talking to my friend Gene about some of the difficulties we have faced in trying to get that film , All The Rage, discussed beyond the small circle of people who already are interested in Dr. Sarno and his work. I spent the entire last year working full time on the effort, and resistance to the film was surprisingly powerful. Despite the fact that Dr. Sarno has countless well know patients, many of whom had profound healing experiences, we found it almost impossible to get the film screened or written about. Our hope in making the film was that, as we launched it into the world, it would create a platform for having a deeper discussion about mind-body medicine. It’s been a little frustrating that it hasn’t been possible to make that happen. After a year of effort, I reserve the right to vent about that frustration a little bit. Some of this difficulty has to do with the type of film that it is, and some of it has to do with the fact that we do not have a major distributor, nor the direct support of any heavy-weight cultural commentators who might facilitate discussion outside of film press. In general terms, “All The Rage” doesn’t do what people expect a “documentary” to do. Most of the reviews reflect the idea that the reviewers seek clarity; they want the film to deliver clear actionable information- they want it to forcefully argue a point. We began our process with a cut that did do that a bit more clearly, but it was boring and unconvincing. Instead, we decided to focus on using the film to create a space in which people might reflect on their own stories and emotions. Our goal was to focus on emotions rather than information. Critics also wanted us to choose a character and stick with him. The idea that the film could be about Dr. Sarno as well as a personal journey did not sit well with them. Many of the ideas embedded in the film have begun to show up in books. Like films, books get reviewed, but there are more opportunities for books to get discussed on TV and Radio as well as in non-entertainment sections of the paper. There are also more opportunities for media outlets to share excerpts from a book than there are with a film. However, as with films, this is really only true of books that are put out by larger companies with bigger publicity and marketing budgets. In general, people accept products that come from accepted sources like book publishers or film distributors. The press will rarely cover a project that doesn’t have that kind of vetting or stamp of approval. The good news is that because these ideas are in books they are getting discussed, which actually makes it even more frustrating that we can’t seem to shoehorn Dr. Sarno and the film into the discussion. With film publicity, especially in regard to documentaries, there is a tendency for the discussion to be driven by film critics, rather than cultural commentators. If the film has not already been picked up by a distributor or had a major box office impact, it is very difficult to get anyone to write about it or discuss it. We did not get invited to major festivals that the film press covers so we decided to put it into theaters ourselves. We opened in NY to very impressive box office numbers, but because we were distributing it ourselves and the reviews weren’t absolute raves, we couldn’t get any other theaters to book it. Our film is partly the story of Dr. John Sarno‘s work, which focused on treating pain from the perspective that it is often caused by the repression of emotions. In addition, it is a very personal narrative. Both narratives serve as a critique of systems and institutions. These themes are woven together by the fact that we, as filmmakers, and Dr. Sarno in his practice, do work that challenges the systems that we are a part of. Dr. Sarno’s work is a direct but subtle critique of the system he was a part of. He came to challenge not only the things he had been taught but also the way in which medicine began to take on an increasingly technical bent that minimized the role that emotions play in regards to our health. He also wrote 5 books about his work. While those books were informed by his medical training, they also challenged the world that he was a part of. Our filmmaking choices are not an obvious an attack on accepted film practice. However, we are aware of what people expect from films and we choose to go forward in ways that go against expectation in subtle ways. We move forward in this way knowing that it will make it more difficult to get the work seen. We work in this way because we find that it communicates ideas in more complex and open ways. It is our expectation that this will challenge people to think more deeply about the ideas rather than just the facts. Near the beginning of All The Rage, Larry David calls us out for being “unprofessional” because we started rolling our camera before clearly staring the interview. I like to do that just in case we need a way to start a scene, or in case something interesting happens. I let him know that we don’t want to do things “the right way because if you do it the right way its boring”. I was thinking on my feet at time because I was nervous to begin with and I really thought that he might kick us out. In the end, he couldn’t really object to that idea because he built his career on doing things the way they weren’t supposed to be done. The point of putting that line in the film (which many people told us not to because it made us seem unprofessional) was that we wanted the audience to understand that we would be doing things a little bit differently than they might expect. Setting expectations feels important because if people expect one thing – like an argument about an idea- and they get something else, they are likely to be disappointed. That message didn’t reach many of the critics who complained that on one hand, the film was pure advocacy but on the other that it wasn’t very convincing. They didn’t recognize that this might be true specifically because we had no intention of making an advocacy film. You can’t win with complexity. Dr. Sarno faced a similar backlash from his colleagues. Despite his incredible success treating patients, as well as helping hundreds of thousands of people (if not millions) through his books, Dr. Sarno ended his 60 plus year career with almost no support from other doctors. In fact, the vast majority of them were disparaging of his work. While interest in the mind-body connection has grown over the past decade, and the science to support the idea has also started to appear with increasing frequency, a full and cogent acknowledgment of the power of the emotions is far from being embraced within the medical field. Unsurprisingly, our film which chronicles Dr. Sarno’s efforts and ideas is often met with both direct and subtle skepticism. Yet, as with Dr. Sarno and his work, when we get it to people who are open to the ideas, they generally embrace it and are often changed by the experience. However, people who are skeptical of Dr. Sarno, and need “convincing”, expected us to use data, talking heads, and “facts” to “prove” that Dr. Sarno is correct, tend to dismiss the message- and the messenger. As I mentioned earlier, we started out trying to use information to create a foundation from which people might understand the ideas in the film. We found though, that the more information that we put in, the more questions it raised, leading people to become more skeptical based on the facts, rather than less so. I believe that if our film was being pushed into mainstream distribution with a mainstream publicist, it could create the opportunity to have the kind of discussions that book publicity, or big budget “issue driven” docs often get. However, even though we’ve hired many different film publicists they have not had the opportunity to help us push this film into the general conversation. In fact, on 4 different occasions (the festival premiere, NY theatrical, LA Theatrical, and SF Theatrical) we hired 4 different publicists. Of those, 3 had a personal experience with Dr. Sarno (one went to see him, the other had a relationship with someone who had, and the third had banished back pain by reading the book. None of them were able to get any press beyond reviews. Like Dr Sarno, we will continue to make the film available and believe it will slowly grow via word of mouth. When his books came out, they were rarely reviewed and there is almost no media about his work. Now, he is a hero to millions. Unfortunately, because we can’t get anyone to write about or discuss the film, they don’t even know it exists. However, when we do get it to people, as we did in Chicago last weekend, the response is profound.